The Great Western Highway between Katoomba and Mount Victoria forms a key component of the highly scenic road connection across the Blue Mountains. To address increasing road safety issues the Roads and Maritime Services (RMS) proposes to carry out improvements along this 13.5 km section of highway. 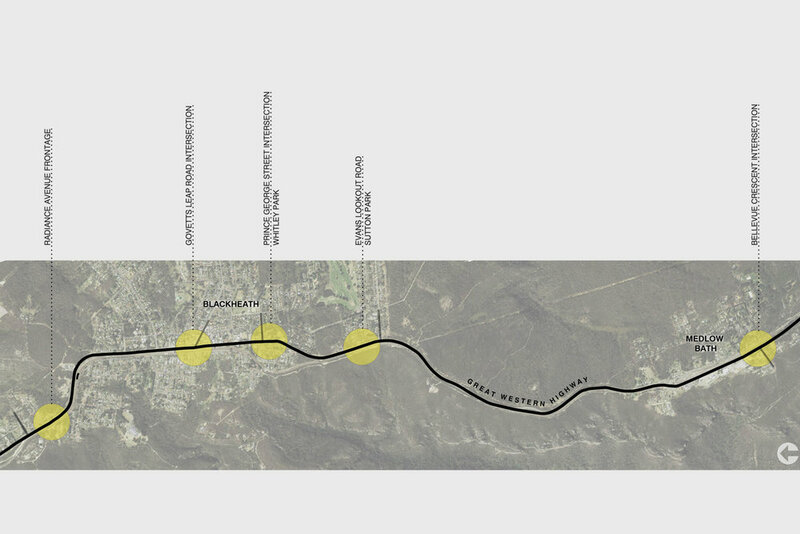 The project corridor generally follows the Blue Mountains ridgeline with the Megalong Valley escarpment close to the western edge and a broad plateau extending east to the Grose Valley and the World Heritage Area. Proposed road safety works include intersection improvements, installation of safety barriers and wider medians, curve realignments, additional overtaking lanes and extension of existing lanes, traffic management systems, shoulder widening, utility relocations, establishment of clear zones, improved delineation, signposting and improved road drainage. We were engaged by RMS to prepare a Landscape Character and Impact Assessment of the proposed works and a Tree Management Plan, which were included in the Preliminary Environmental Investigation (PEI) prepared by Arcadis. 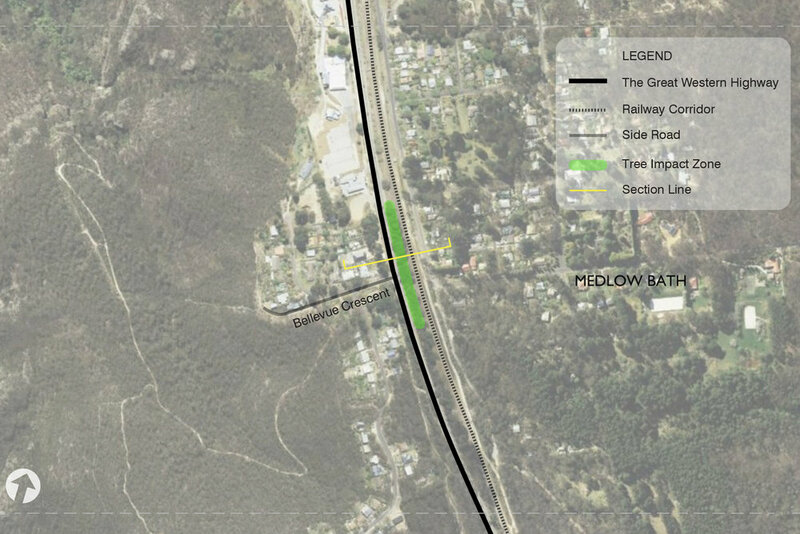 The existing landscape along the Highway between Katoomba and Mount Victoria was analysed to provide a baseline for the assessment of the potential visual impacts of the proposed works. A series of landscape character zones (LCZ’s) were identified, described and illustrated. The LCZ’s are areas that are relatively consistent in terms of their combination of landform, vegetation and land uses. townships that are separated by areas of natural forest landscape. Potential visual impacts of the proposed works on the landscape were assessed and a number of key locations identified for more detailed assessment. A series of photomontages were prepared to illustrate the visual character following implementation of the proposed works at the key locations. planting concepts to achieve strong landscape character outcomes at these key locations in the longer term. Recommended mitigation measures aim to reinforce this distinctive landscape pattern. Community consultation carried out by RMS included public meetings in Blackheath and Medlow Bath that Noel Corkery attended to explain and discuss the Visual Assessment and Tree Management Plan.